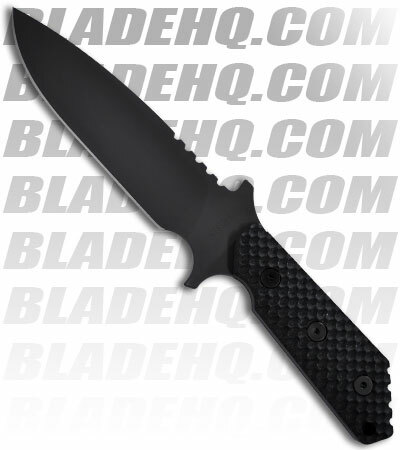 The CPM S30V spearpoint blade is multi-ground with a flat ground edge, razor sharp! The grey matte finish gives this knife a tactical, low profile look. The front tang is marked "STRIDER" and the back has the logo. Full tang construction makes this knife very solid. Handle is GG "Gunner Grip" black G-10 and features jimping on the thumb ramp. 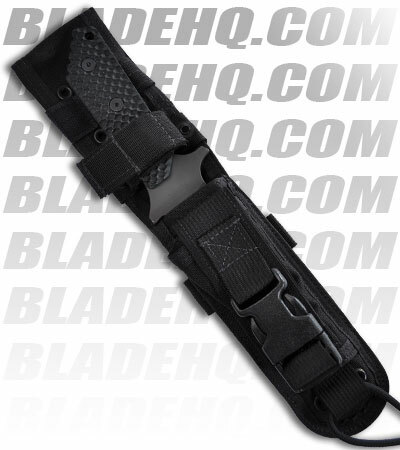 Includes heavy duty Nylon sheath system from Eagle Brands.